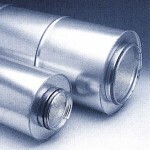 All accessories are built for either 8″ or 10″ round ducts. Each is constructed of materials to withstand the elements of the environments in which they will be installed. All are immediately available from stock. These galvanized steel silencers are designed to muffle the operating noise transfer from remotely mounted motor to the hood’s interior. The silencer can reduce perceived sound by more than 50%. Keep the cold out and the warm in, or vice versa during summer, with a backdraft damper at your hood’s outlet. Kitchen range hood exhaust must always vent to outside the home. Choose an ABBAKA roof cap, for your roof top exhaust outlet. These rubber lined clamps make a tight, vibration reduced connection between the rigid duct and our Attic (in-line) fan.